Bloomberg Global Innovation Index: Korea on top. 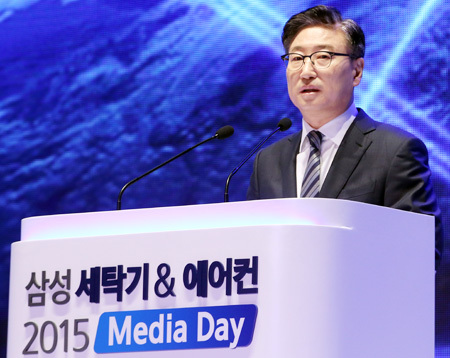 Yoon Boo-keun, Samsung Electronics’ consumer electronics division president. Source: Yonhap News. Samsung Electronics said Tuesday a new order prevails in the global consumer electronics industry with the Internet of Things (IoT) leading the way, prompting it to search for new business opportunities in the field. “There’s no question that IoT is the next key driver for Samsung,” Samsung Electronics co-CEO Yoon Boo-keun said at a news conference in Seoul. Yoon said Samsung wants IoT to be totally open. “By 2020, every single product that Samsung sells will be connected,” he said. He said IoT will significantly change everyone’s life and Samsung is positioned to become a leader in a more connected era.”Samsung aims to closely collaborate with industries to really make IoT happen. We will continue pursuing a human-centric business philosophy,” he said. 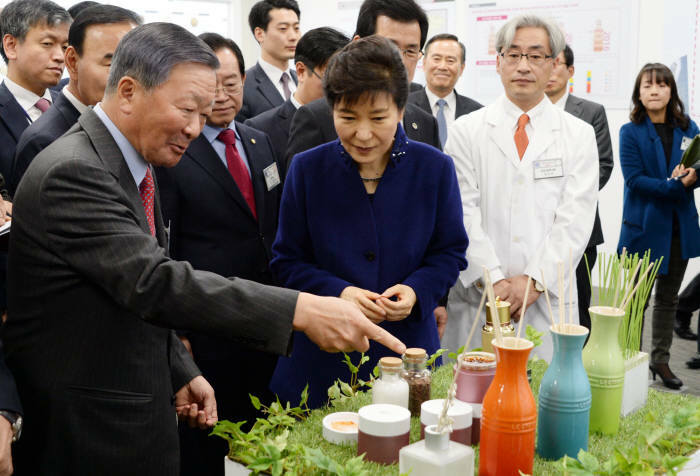 He made the remarks at an event to unveil new home appliances at the company’s Secho Tower in southern Seoul. Yoon said consumes are embracing IoT, which will be relevant across all segments from industry to wearables, smart homes, cars and more, with multiple devices from different parts of people’s lives being connected. The total number of patents applied throughout the world last year was 2.57 milion, up 9 percent from the previous year. 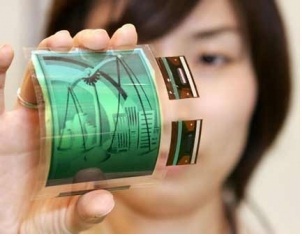 The countries with the highest number of patent applications were China, the United States, Japan, Korea, and the EU. The World Intellectual Property Organization said on December 16 in its “World Intellectual Property Indicators 2014” that China accounted for 32.1 percent, or 825,136 cases, of all patents applied in the world. It was then followed by the United States with 22.3 percent (571,612), Japan (12.7%, 328,436), Korea (7.9%, 204,589), and the EU (5.7%, 147,987). The patent organization added that the number of trademarks, industrial designs, and plant varieties increased 6.4 percent, 2.5 percent, and 6.3 percent, respectively from the previous year. The growth of non-patent IP filings rose in countries like China, the United States, and Korea but decreased in Japan and the EU. As for the number of IP filings for each national patent office, China (26.4%), Australia (12.7%), and Korea (8.3%) saw their numbers soar for the year while other offices in countries like Japan (-4.2%), Italy (-1.1%), Spain (-6.6%), Britain (-1.3%) experienced their IP filing numbers dwindle. For full article, see The Korea Economic Daily. 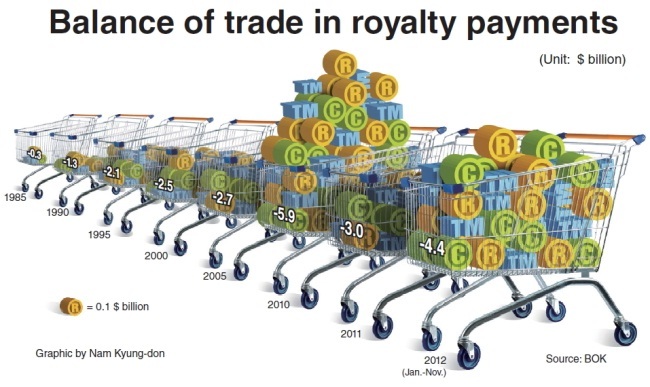 Korea spent about $7.7 billion on royalty payments, including the usage of intellectual property rights, to foreign firms for the first 11 months of 2012, data from the Bank of Korea and Idea Bridge Asset Management showed Wednesday. The payments posted a 5.5 percent growth from the previous year, according to the central bank. But royalties paid to local information technology firms remained at $3.24 billion during that period, bringing the overall balance to a deficit of $4.45 billion, according to data. Citing the growing burden on royalty expenses, BOK economists said that Korean tech firms ― which engaged in a series of legal litigations regarding intellectual property rights ― and other business entities need to make stronger effort to create their original technologies.